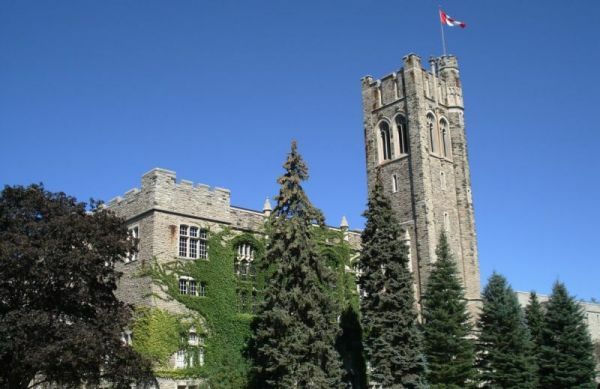 I have been watching the recent uproar at the University of Western Ontario lately with keen interest, not just because it is my alma mater, but because it epitomizes everything that is currently wrong with Canada’s university system. For those unfamiliar with the situation, when Ontario’s annual “Sunshine List”—a publication of every public employee’s salary that exceeds $100,000—it came to light that UWO president Amit Chakma’s salary this year was $967,000, almost twice what it normally is. When people collectively said “WTF?”, a spokesperson for the university’s Board of Governors revealed a clause in Chakma’s contract: that after five years of service, he was entitled to take a year of paid leave to pursue research interests. This in itself is not unusual: it is what we normally call a sabbatical. The clause in question, however, stipulated that, should Chakma choose to work through his leave, he would collect his regular salary AND what he would have earned on sabbatical. The “WTF?” outcry, predictably, only grew louder—and was aggravated by the fact that the responses from the president’s office were utterly tone-deaf, by turns dismissive, condescending, and entitled. It took them about two weeks to fully realize just how deep the outrage ran, and their attempts at damage control were paltry, culminating in a disingenuous apology from Chakma and a plea for a “second chance.” Most weren’t inclined to give it, and a motion of non-confidence was brought to UWO’s Senate (the motion was defeated, but not by a wide margin). As loud as the outrage has been, Chakma has not lacked for supporters. The defenses have tended to acknowledge that, yes, double-dipping on his salary was probably not the best of all things, but maintain that if Canadian universities want to be competitive, they have to be willing to pay for talent at the top. That Chakma is a man of “vision,” that he has increased enrollments, secured grant money, and been a productive fundraiser. What his defenders don’t mention is that, however much money he seems able to bring into the university, Chakma has also presided over increasing class sizes, huge cuts to staff, hiring freezes on faculty, and of course the concomitant rise in the use of part-time lecturers—all of whom are overworked and underpaid. To anyone working in the academy today, this disjunction between the corporate rhetoric of upper administrators—for whom “excellence” is the watchword, though excellence in what form is never made clear—and the day-to day realities of teaching and research, in which professors are constantly enjoined to “do more with less,” to preside over ever-larger classes, and grind our teeth in frustration when retirements go unreplaced, has depressingly become the new normal. To a certain extent, I’m not really in a position to complain: I am one of the few people who, upon graduating with my doctorate, were able to secure a tenure-track (now tenured) position. I am doing a job I love and compensated for it more than fairly. But when I look at the academy more broadly I get depressed and saddened by what seems to be an inexorable shift into a corporate model in which the foundational principles of academic freedom, tenure, and the intrinsic value of a liberal education are being eroded by such neoliberal preoccupations as austerity, utilitarianism, and profitability, and most perniciously the need to “synergize” the university with business. The bellwether of this shift is administrative bloat: while faculty complements have contracted, administration has grown by a magnitude, with ever more positions for deans, associate deans, vice-presidents, provosts, and so forth being created, largely for the purpose of competing for a finite pool of students, donations, and grant money. And while faculty are being told to do more with less, that we have to tighten our belts, the salaries for administrators continue to grow along with their numbers. Amit Chakma’s base salary of $440,000 is at the higher end of presidential compensation, but is not unusual. Doubling up on this kind of money is outrageous, but a question that has been more or less overlooked in this kerfuffle is, quite simply: in what universe is a nearly half-million dollar salary not just acceptable but expected for a public servant? An Ottawa Citizen column chiding us for “salary-shaming” Chakma reminds us that “He’s running a $650-million institution with almost 30,000 students.” And yet he earns over twice as much as the premier of Ontario ($208,974), two hundred thousand more than cabinet ministers ($242,000), and about one hundred and twenty thousand more than the Prime Minister ($327,400). Yes, running a university is a big job, and we want talented people in those positions, but the inflated salaries of administrators are an insult to the legions of part-time professors earning barely above the poverty line and for whom the prospect of stable, full-time academic employment has become increasingly unlikely. The tumult, over Chakma’s compensation and the moronic way he and Western’s Board of Governors has dealt with it, at least offers a few stirrings of hope. In my more optimistic moments, I think that the increasingly vocal response among faculty, students, and interested onlookers indicates a growing inclination to fight back; the recent TA and sessional lecturers strikes at York and U of T would seem to indicate as much, as did the furious backlash at the peremptory firing of Robert Buckingham at the University of Saskatchewan. In my darker moments, I can’t help but feel that these events are just the extreme weather events in the climate change of our universities, and that we’re past the tipping point when it can be fixed. But we must continue to be vocal and fight back. Chakma has pledged to engage with faculty and student concerns with “One Hundred Days of Listening.” Perhaps unsurprisingly, people are skeptical about just how much listening he’ll actually do. In response, an “Alternative Listening Tour” blog has been started for faculty, students, and alumni to submit their thoughts, questions, and criticisms. As an alumus, I submitted my own thoughts yesterday. I am an alumnus of Western. I started my PhD in English there in 1997, and completed it in 2004. I then worked as a sessional lecturer for a further year, and had the great good fortune to get hired into a tenure-track position at Memorial University of Newfoundland. I am still at Memorial, having been granted tenure in 2011. I am very happy here in the company of extraordinary colleagues and students. The fact that this career arc, which in generations past would have been unremarkable, is today the ever-receding exception to the rule, is but one of the ways in which the Canadian university system is broken. Too many talented academics I know, who have done everything right, done everything they were enjoined to do, now look at tenure-track jobs as vanishing possibilities. To remain in academia, as so many of them do in the hopes that things may change, they work back-breaking course loads for wages barely above the poverty line. We, benefactors, alumni and friends of Western, care deeply about this University. But for weeks now, we have watched as the controversy surrounding Western President Amit Chakma’s pay threatens to tarnish the reputation of this great institution. We are disappointed and concerned this controversy has distracted from Western’s focus on achieving excellence on the world stage. Today, we respectfully ask that it stop. A vote of non-confidence is not only unnecessary, but reckless and divisive. We ask members of the university Senate to vote against the motions of non-confidence facing it Friday and embrace the president’s call to move forward as a united university. We call on like-minded faculty, staff and students – and especially on like-minded alumni, benefactors and friends – to stand up, speak out and get behind this president and board chair. We have had the pleasure of seeing first-hand as President Chakma’s vision and ideas have taken hold. But these accomplishments can only be built upon when faculty, staff, students and alumni are working together. 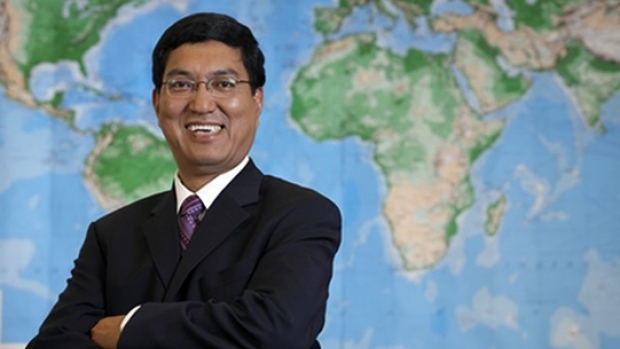 We fully endorse the leadership demonstrated by President Chakma and Western’s Board of Governors. We have the right people, for the right time. It’s time again to reaffirm our place among the world’s best universities. I respectfully reject one of your main premises, which is that you “care deeply about this University.” I have little doubt that you do care about Western, but our respective understandings of what Western is are dramatically different. I submit to you that you do not actually care about the university: you care about the Western brand, and your privileged relationship to it. I know this because you do not address with any specificity Western’s principal missions, which are teaching and research. Instead, you worry that “this controversy has distracted from Western’s focus on achieving excellence on the world stage.” Two points: first, why is the “world stage” your concern here, as opposed to the quality of education for Western’s students, which has been denuded by larger classes, faculty contraction, and the ever-expanding role of overworked and underpaid adjuncts? Second, I challenge you to resubmit your letter—and instead of using the word “excellence,” use as many words as you need to explain what you mean by this. The years I spent at Western were among the best years of my life. I came of age as a thinker and a scholar and forged the foundation for the career I have now, not because I was immersed in some abstract pool of “excellence,” but because I was taught, mentored, encouraged, and challenged by some of the most remarkable people I have ever known. Professors, fellow graduate students, and the students I myself taught, first as a TA and then as a sessional lecturer, all made indelible impressions on my life and my mind. Perhaps you protest that this is what you mean by “excellence,” but I think we both know that’s patently untrue. I would not demean these people by calling them excellent; they were by turns brilliant, compassionate, arrogant, infuriating, hilarious, odd, or quietly ingenious. They ran hot and cold, they ran the gamut of perspectives and politics, loved each other, hated each other, schemed and partied, possessed enormous intellects and fragile egos. They were, in other words, academics—both established and aspiring, and they defined the university as a space for thinking and discovery, argument and critique. These people were, and are, the university. Them. Not the administration, not the benefactors, and certainly not some abstract sort of brand loyalty, but the people who show up to think, to research, to teach, to learn. And in asking them to shut the hell up lest they taint Western’s image is to display a breathtaking ignorance not just about the nature of academics, but about the mission of the university itself, which is to question, challenge, critique, and above all to inculcate these stroppy tendencies in our students. When Immanuel Kant first conceived of the modern university in The Conflict of the Faculties, he said that the university’s mission was to produce good citizens. Today’s administrations see students not as citizens to be educated, but customers to be kept. This uproar over President Chakma’s compensation is not, as you seem to think, an undignified temper tantrum, but the academic community both within Western and without reasserting not just its best character, but its very raison d’etre. President Chakma has pledged to engage in “One Hundred Days of Listening.” Rather than telling the rest of us to shut up, perhaps you should heed your own advice. And listen to what this unruly mob has to say. Who knows, you might learn something. University College, UWO. My intellectual home for eight years. I still miss this place, sometimes.